Hero sections; they serve all kinds of purposes. 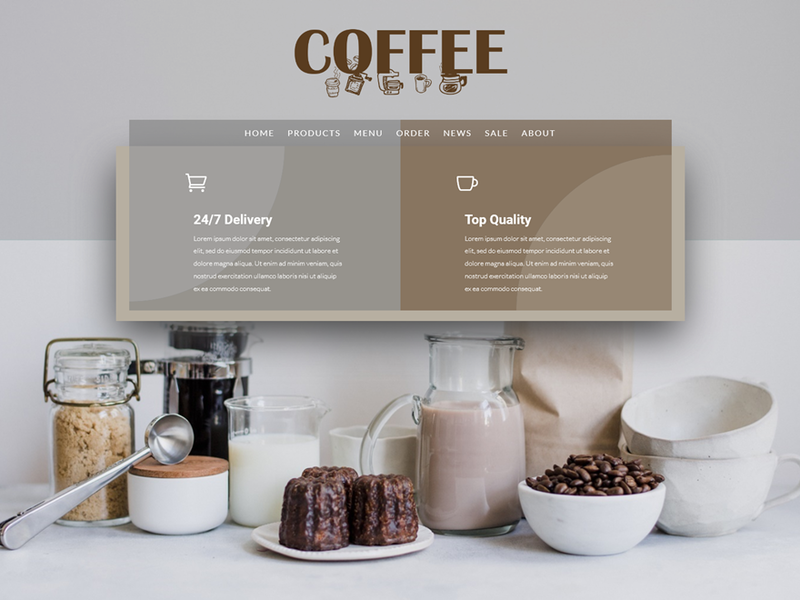 They’re the first thing visitors see when they visit your website, they immediately show the style of your website and they influence the way your visitors feel and behave on your site. We’re already used to all kinds of hero sections out there, but most of them include a hero image, a tagline and a call to action. There are other possibilities as well, though. 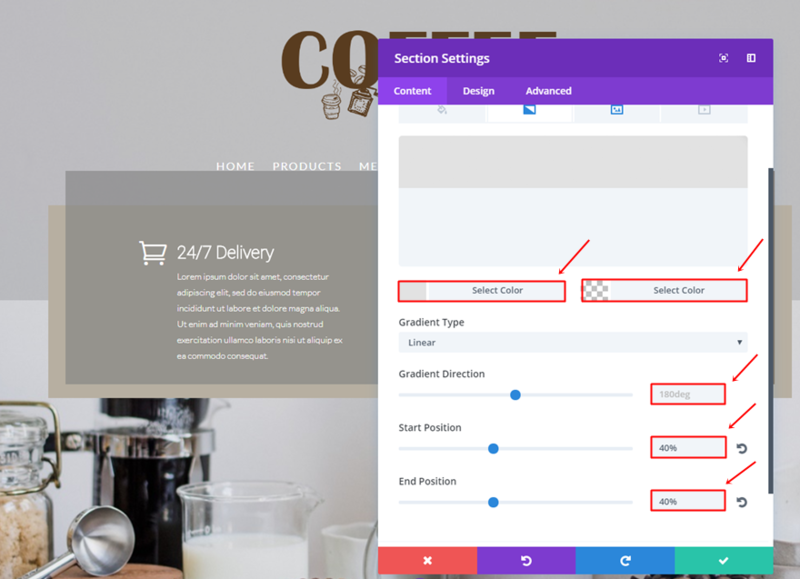 In this post, we’ll show you another approach on hero sections and we’ll follow it up with an example you can recreate using Divi. Before we show you how to recreate the example, let’s take a look at some of the factors that differentiate this hero section from other ones. 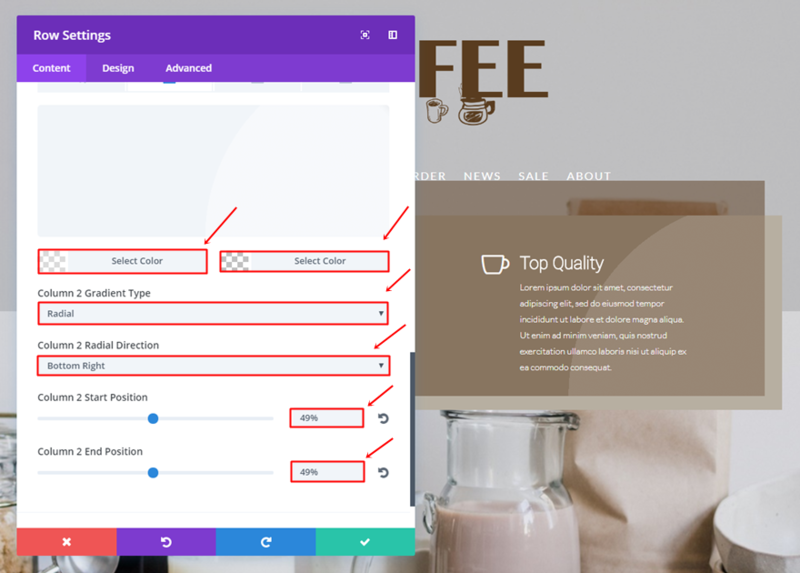 The first thing we’re using in our example, to help make our hero section stand out, is a centered header format instead of the default. Along with that, we’re also using a transparent menu that’ll help overlap the menu items with the hero section design. 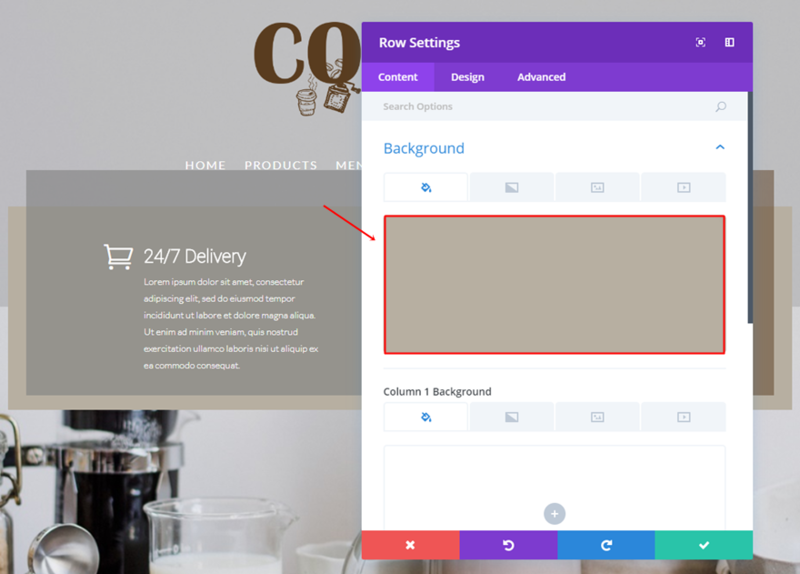 The link between the logo, menu and website is clearer when using a transparent background since there’s one less division within the hero section. Another thing you can do to make your hero section stand out is concentrating the written content you have. That way, you’ll draw the visitors’ attention to one place on the screen which makes the chance of them reading it bigger. If you’re, on the other hand, dividing written content throughout your whole hero section, the changes are more likely that they’ll miss out on a part of the message you’re trying to bring. 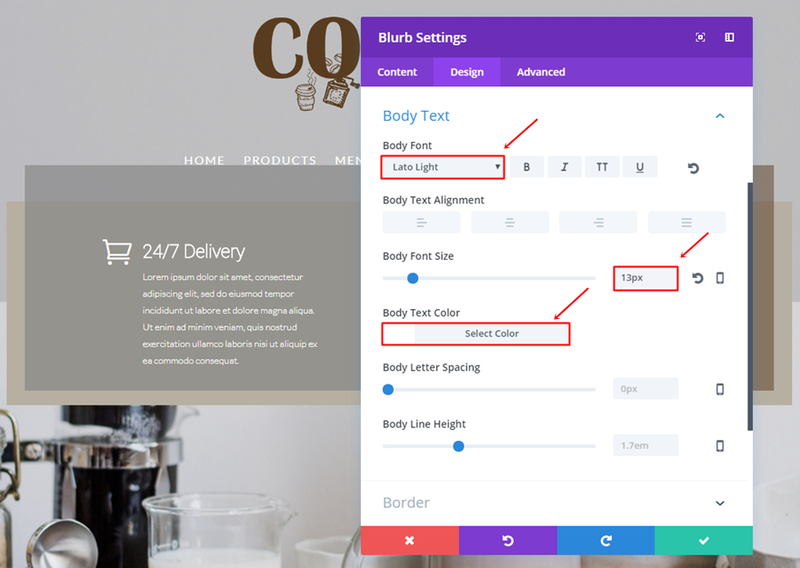 Usually, a hero section contains normal Text Modules that share a product or company’s tagline. However, you can also use Blurb Modules within the hero section as well. These Blurb Modules are perfect if you want to share the unique selling propositions of your product or service right away. On top of that, you can also choose whether or not you want to include calls to action in it right away. In our example, these call to actions are built into the blurb modules themselves. 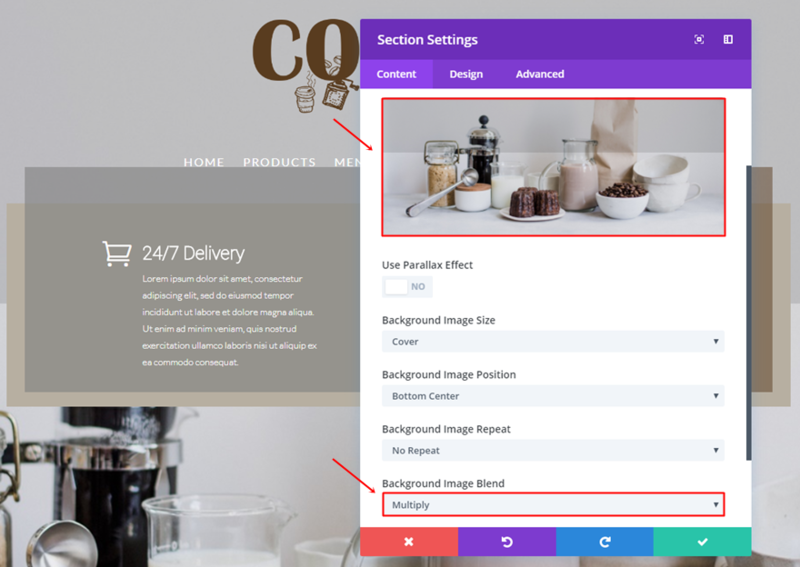 To top it off, and to balance the written content you’ve provided, we recommend using a clean product image as your hero section background image. You want your hero image to be as qualitative and self-explanatory as possible without taking over the whole hero section. Now that we’ve gone over the theoretical side, it’s time we start recreating it. 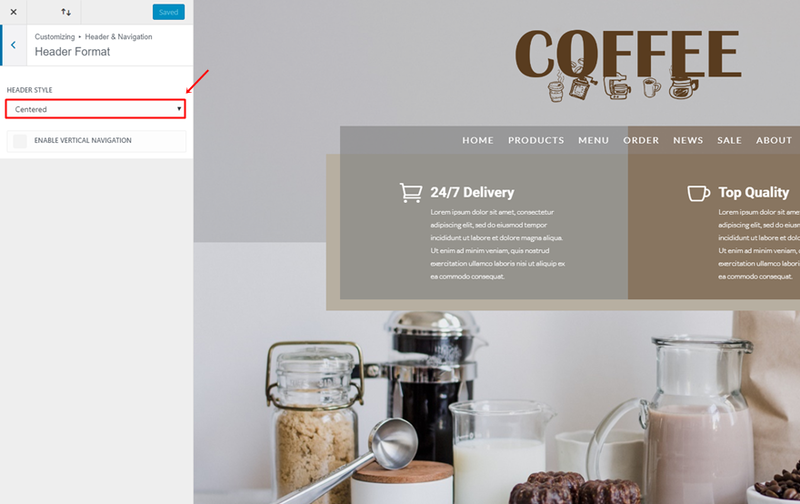 The first thing you’ll need to do is choosing ‘Centered’ as the Header Style by going to your WordPress Dashboard > Customize > Header & Navigation > Header Format > And choose ‘Centered’ as the Header Style’. 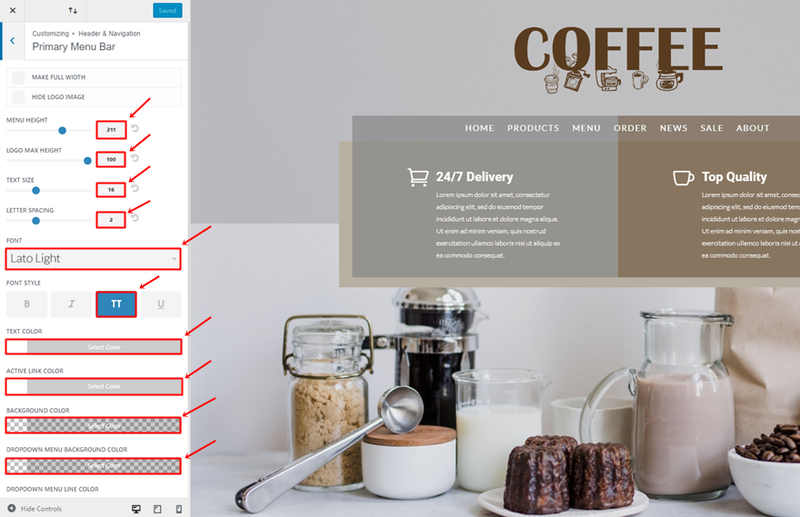 Once done, add a new page, enable the Divi Builder, enable Visual Builder and add a new standard section. 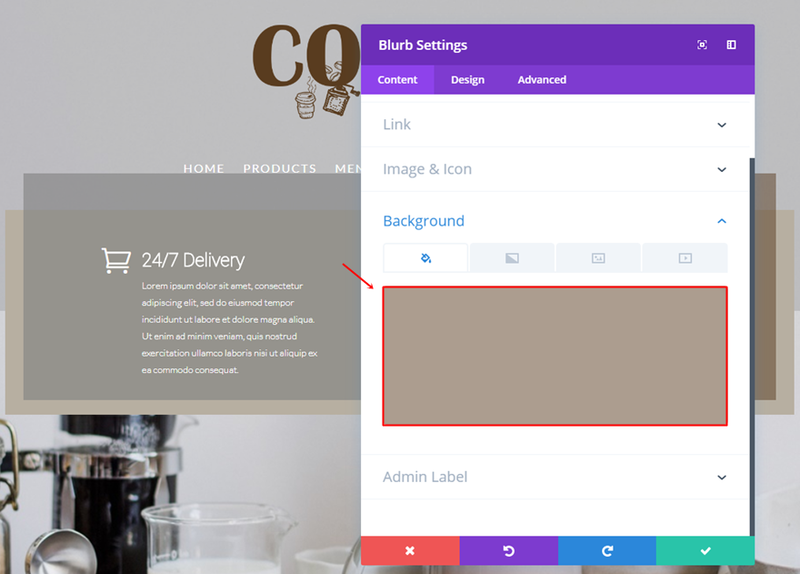 Next, upload background image and choose ‘Multiply’ as the Background Image Blend. 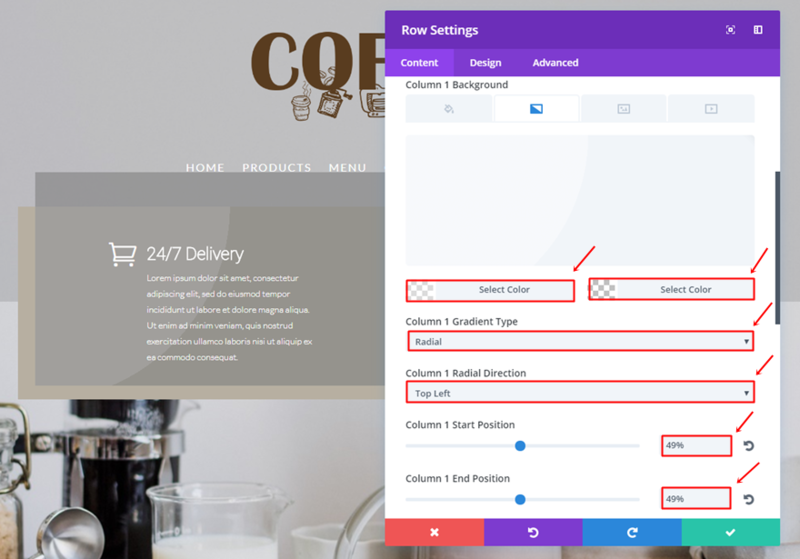 Add a two-column row to the section you’ve just created and use ‘#b7afa1’ as the background color. 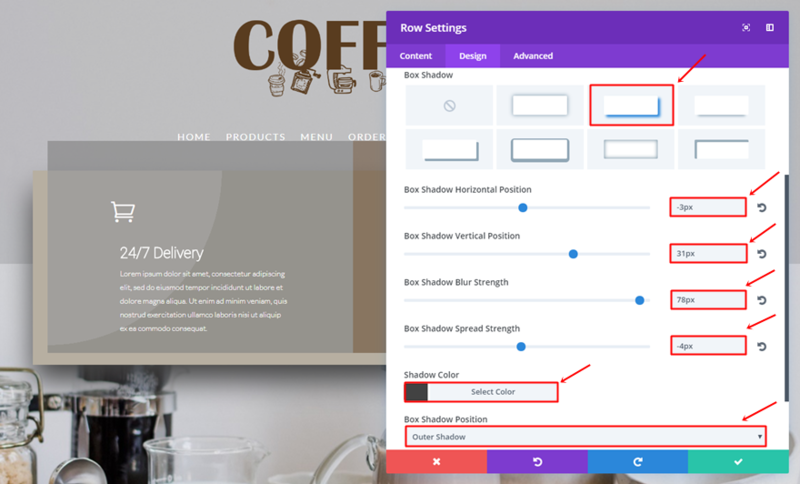 Go to the Design tab, enable the ‘Use Custom Gutter Width’ option and use ‘1’ for the Gutter Width. 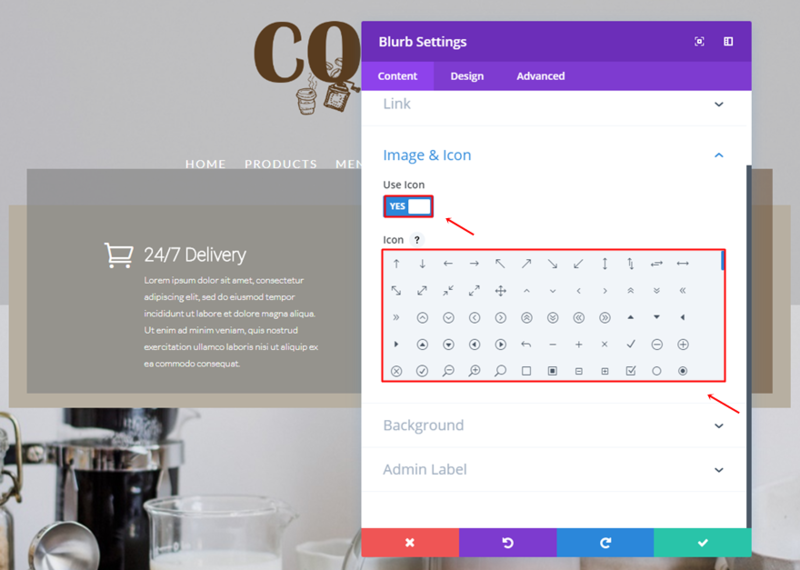 Add a Blurb Module to the first column of the row, enable the ‘Use Icon’ option and choose an icon. 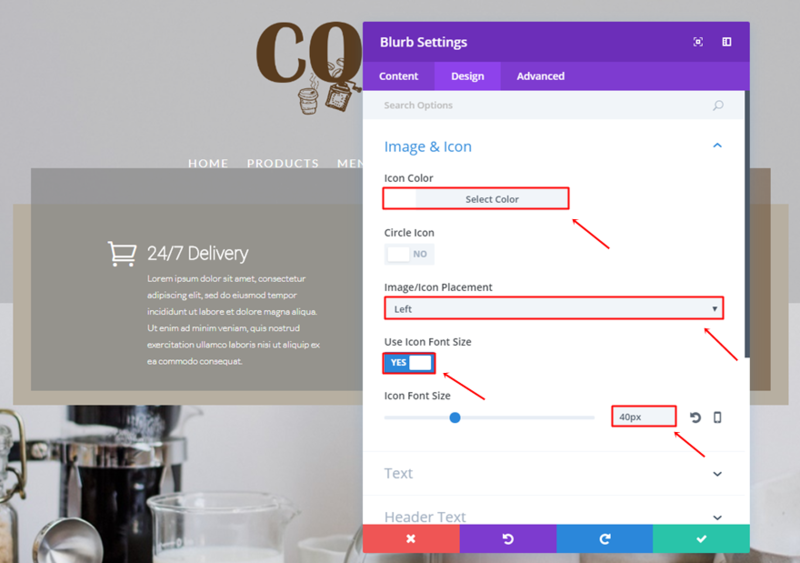 Next, use ‘300px’ as the Content Width. 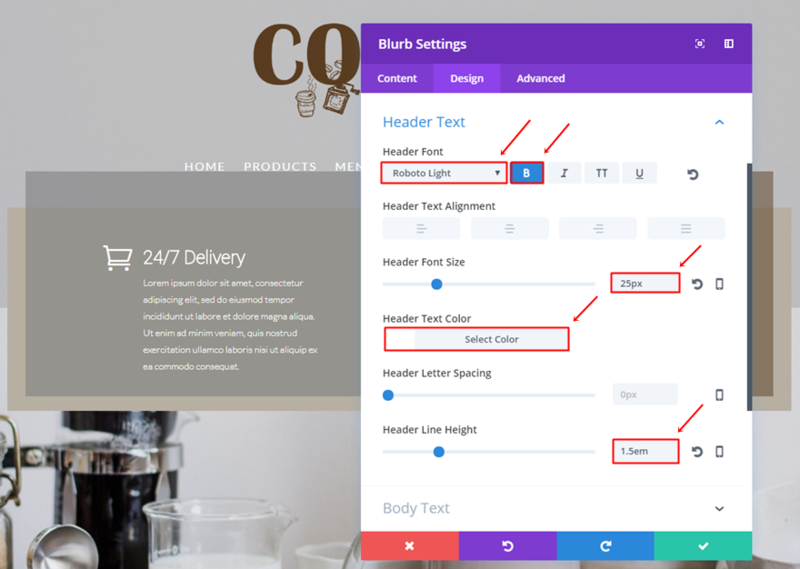 Continue by cloning the previously made Blurb Module and placing it in the other column as well. 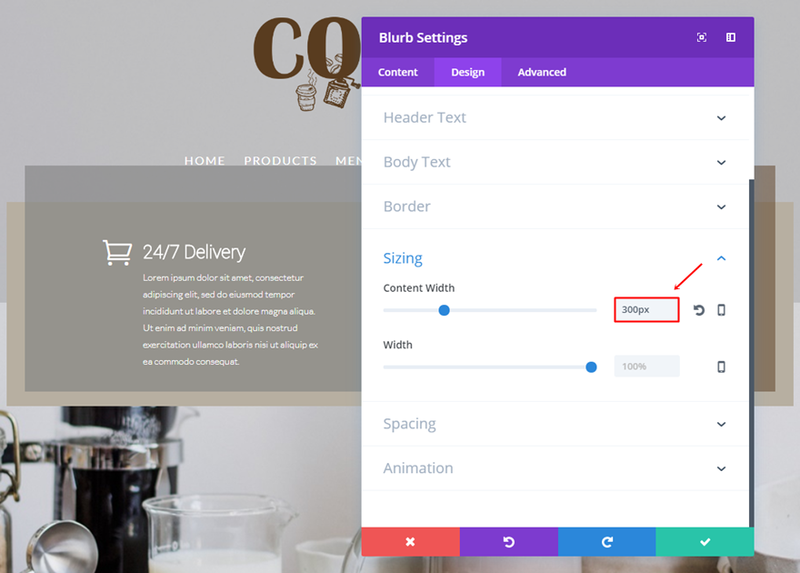 The first thing you’ll have to change in this cloned Blurb Module is the background color. Change it into ‘rgba(89,60,31,0.5)’. The next and last thing you’ll need to change is the icon within the content tab. 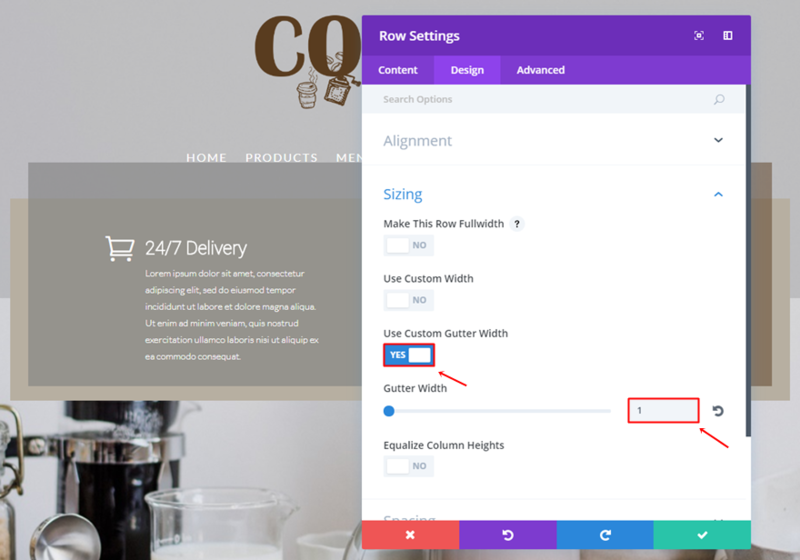 With the recent update, you’re now also able to add box shadows to rows, modules and sections. For this example, we’re going to add some box shadow to the row. That’ll help create some depth and emphasize the written content in our hero section. In this post, we’ve shown you a different approach on hero sections. 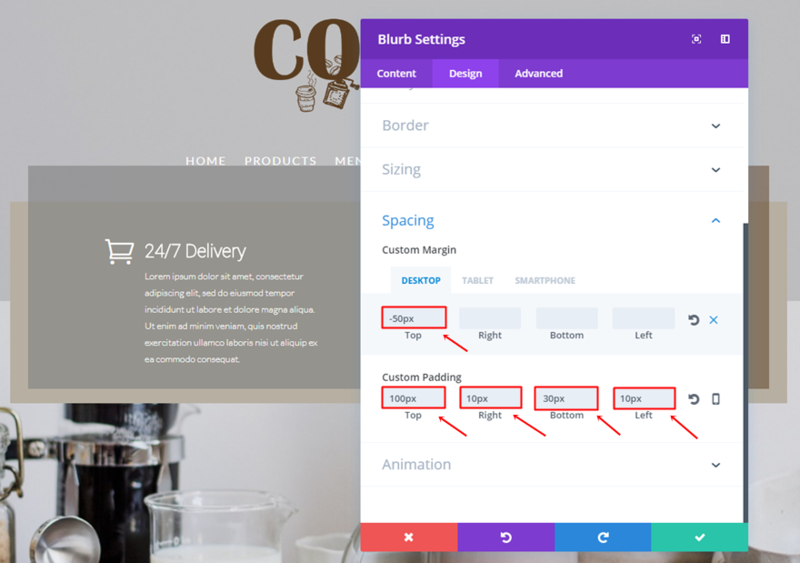 We’ve given you some tips and elaborated those tips by showing you how to recreate an example we’ve made in advance with Divi. If you have any questions or suggestions; make sure you leave a comment in the comment section below! 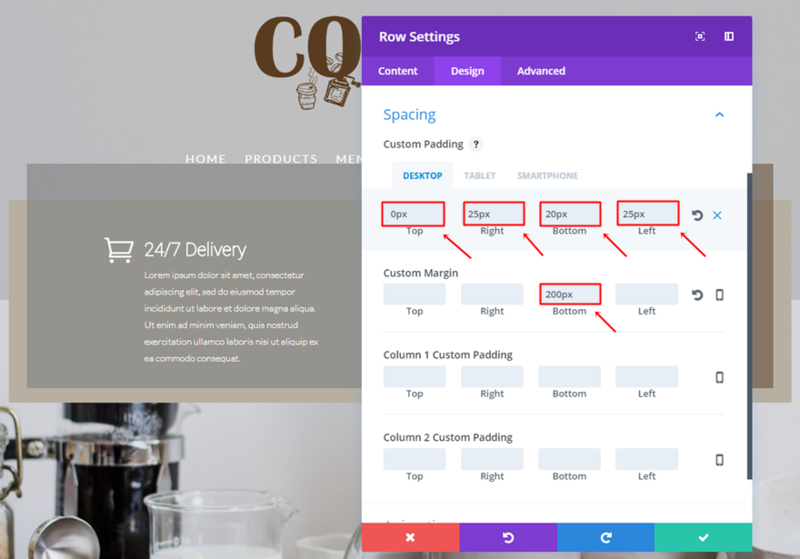 The post How to Create Showstopping Hero Sections with Divi appeared first on Elegant Themes Blog.